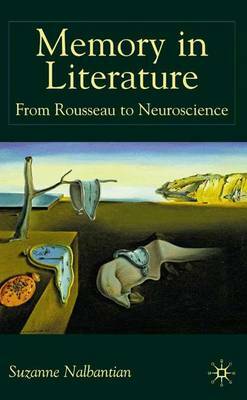 This book is the first to discover and probe in depth memory phenomena captured in literary works. Using literature as a laboratory for the workings of the mind, this comparative study of writers from Jean-Jacques Rousseau to Octavio Paz, including Proust, Breton, Woolf and Faulkner, uncovers valuable material for the classification of the memory process. Nalbantian's daring interdisciplinary work, involving literature, science, and art, forges a new model for dialogue between the disciplines.